It’s estimated that as many as one in five South Africans suffer from hypertension, commonly referred to as high blood pressure. According to the World Health Organisation (WHO), hypertension is the leading cause of cardiac fatalities. Unfortunately, hypertension often goes undetected. This is because even if you have fairly severe hypertension, you may have no symptoms at all, or the symptoms may be mild and non-specific, like dull headaches and occasional dizziness or nosebleeds. A blood pressure reading consists of two measurements – systolic pressure, which is the pressure when your heart is contracting, and diastolic pressure, which is the pressure when your heart is relaxed, between beats. Normal blood pressure is defined as systolic pressure in the range from 100 to 140 mmHg, over diastolic pressure in the range from 60 to 90 mmHg. If your blood pressure is at or higher than 140/90 mmHg, it means you have hypertension. Pressure above 160/100 mmHg is considered moderately high, and anything above 180/110 mmHg is severe. Typically hypertension occurs as a result of narrowing or clogging of the small arteries and arterioles due to a buildup of plaque, which consists of cholesterol combined with fat, calcium and other substances found in the blood. It may also be accompanied by a reduction in the number and density of capillaries. A number of factors may predispose people to hypertension. These range from genetic characteristics to being overweight, dietary factors like eating a lot of salt, too little potassium or too little vitamin D, smoking and being under high levels of stress. How can the hesperidin in buchu help? Studies indicate that hesperidin, like that found in buchu, has a number of pharmacological actions that can help protect against hypertension. It helps capillaries stay elastic and impermeable, may actively lower “bad” cholesterol, has a diuretic effect (which in turn reduces blood pressure) and even acts as a natural calcium channel blocker. in 2012, Ikemura et al. 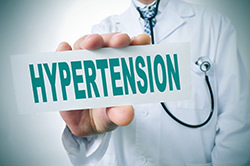 established that hesperidin and glucosyl hesperidin may play an important role in preventing both hypertension and thrombosis. It’s thought that hesperidin protects capillaries, keeping them from becoming narrow and rigid, by inhibiting the action of certain enzymes, such as hyaluronidase. Hesperidin also has another important function in terms of preventing hypertension and heart disease – it may significantly lower “bad” cholesterol, which is a key ingredient in the plaque that can clog arteries. In 1991, Son et al. documented the antihypercholesterolaemic activity of hesperidin, noting that it resulted in an overall lowering of cholesterol levels in hypercholesterolaemic rats. In 1995, Monforte et al. confirmed these findings, noting thathesperidin dramatically lowered low-density lipoprotein (LDL) cholesterol, aka “bad” cholesterol, as well as total lipids and triglyceride levels. It simultaneously increased high-density lipoprotein (HDL), or “good” cholesterol levels. Other research confirming these results have included studies by Choi et al. (1991); Monforte et al. (1995) and Bok et al. (1999). A number of studies (Galati et al. in Italy in 1996; V Kuntić in 2014) have confirmed the diuretic effect of hesperidin, and the diuretic effect of buchu generally is widely known and documented. Diuretics can play an important role in managing hypertension. Put simply, excreting more fluid results in a lower volume of blood to pump through arteries, which in turn translates into lower blood pressure. Calcium channel blockers are among the drugs used to treat hypertension. Evidence suggests that hesperidin may act as a natural alternative to these drugs. In fact, its activity as a calcium channel blocker has been been patented (Morita et al., 1992). Research into this and the other pharmacological actions of hesperidin is continuing, with exciting findings for hypertension sufferers. Lifestyle changes like losing weight and exercising, eating a diet low in salt and giving up smoking can help combat hypertension. In addition, hypertension that’s moderately high to severe is typically treated with one or a combination of different types of drugs. Among these are thiazide diuretics, beta blockers, calcium channel blockers, angiotensin-converting enzyme (ACE) inhibitors, angiotensin II receptor blockers (ARBs) and renin inhibitors. If you have hypertension, it’s important to have your blood pressure monitored regularly, and to follow the advice of a doctor you trust in terms of the best treatment. Also stay up to date with the latest research and guidelines, using sites like the Southern African Hypertension Society and the International Society of Hypertension. In addition, boost your defenses against hypertension with safe, non-toxic buchu oil, which is a natural source of hesperidin and of other valuable bioflavonoids, antioxidants and vitamins.